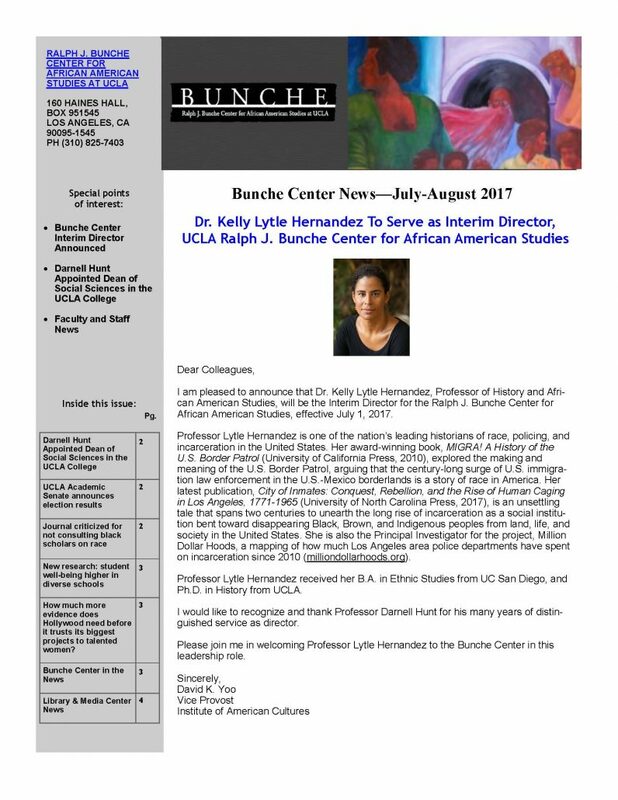 The July-August 2017 Bunche Center newsletter is now available! Stay up to date with the latest Center news and announcements. To download the newsletter, CLICK HERE.